PRINCETON JUNCTION, N.J., May 10, 2016 –With the U.S. moving to EMV chip technology for more secure credit and debit card payments, parking industry stakeholders across the payments value chain recognize the need to learn about EMV to plan to migrate their infrastructure effectively. 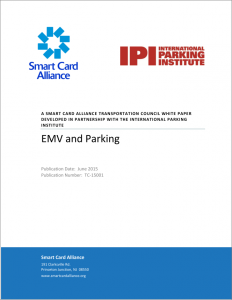 Now that the October 2015 EMV fraud liability shifts are in place, the Smart Card Alliance and the International Parking Institute (IPI) have revised last year’s white paper, “EMV and Parking,” to provide current information on the technology and refreshed scenarios covering the critical aspects of deploying EMV-compliant solutions within the parking infrastructure. The new edition of the white paper can be downloaded at http://www.smartcardalliance.org/publications-emv-and-parking/. An important takeaway from the white paper is that an EMV solution requires input from all participating stakeholders of the payment ecosystem—parking operators, acquirers, systems integrators, PARCS providers, and parking consultants—to ensure a successful transition. Smart Card Alliance and IPI members involved in the development of the May 2016 white paper update include: 20/20 Parking Consultants; Aberdeen Management Group; CH2M; CPI Card Group; Cubic Transportation Systems; Dallas Area Rapid Transit (DART); GO Systems & Solutions; Lumin Advisors; MasterCard; Metropolitan Transportation Authority (MTA); Metropolitan Transportation Commission (MTC); Moneris Solutions; Quadagno & Associates; Southeastern Pennsylvania Transportation Authority (SEPTA); Visa Inc.; Walker Parking Consultants. 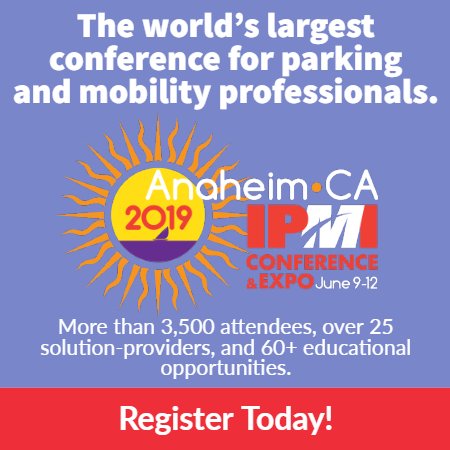 The International Parking Institute (IPI) is the world’s largest association of parking professionals and the parking industry. www.parking.org.